Dr. Marwa obtained her MBBS from Tanta University Medical College, Egypt in 2006 followed by Master degree in Dermatology and Venereology from the same University in 2013. 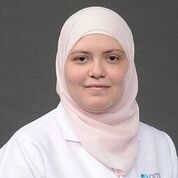 Dr. Marwa completed her residency program as a dermatologist in various hospitals in Egypt till 2013 then worked in Care National Hospital as a Specialist Dermatology in Riyadh, KSA till 2017. She passed Aesthetic Dermatology Training Course of Arab Institute of Continuing Professional Development (AICPD) in Cairo, Egypt in 2017. Management of all acute and chronic skin diseases in adult and pediatric patients. Management of different Hair & Nail disorders, skin allergies and psoriasis. Treatment of diseases of skin color e.g. ; vitiligo, melasma, freckles. Acne scars management by different techniques. Cryotherapy, Electrocautery, Phototherapy, Lasers therapy for various indications including laser hair reduction, cutaneous resurfacing, skin rejuvenation ,treatment of vascular lesions and pigmentary skin disorders etc. Botox injections, Chemical peeling, Platelet Rich Plasma injection, Mesotherapy injection, Micro-needling, Dermabrasion, Radio frequency for wrinkles and skin rejuvenation. Intralesional injections, Intralesional Immunotherapy, Skin biopsies and Minor skin surgical procedures. Dr. Marwa has over 10 years of work experience in Dermatology and Cosmetology. She is always interested to attend multiple national and international courses and conferences to keep her knowledge and clinical practice up to date. Dr. Marwa speaks Arabic & English.